I love this print so much… the light, the muted colors… the content dog. I really should get that framed up and hung in my sewing room. There’s a realism to his work… clearly, they’re paintings, but it’s so easy to slip into the perspective and place oneself in the moment of the painting, in its environment. 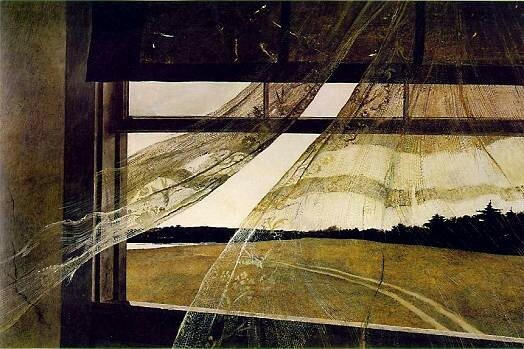 I love the movement of the cobweb-thin curtains. Sycamore trees are among my favorite things; what a nice spot this must have been. I suppose one could debate the merits of whether or not a painting should look just like a photo, but the underlying talent is remarkable. There are so many things to love and appreciate in life – I should start getting out of the house more often. 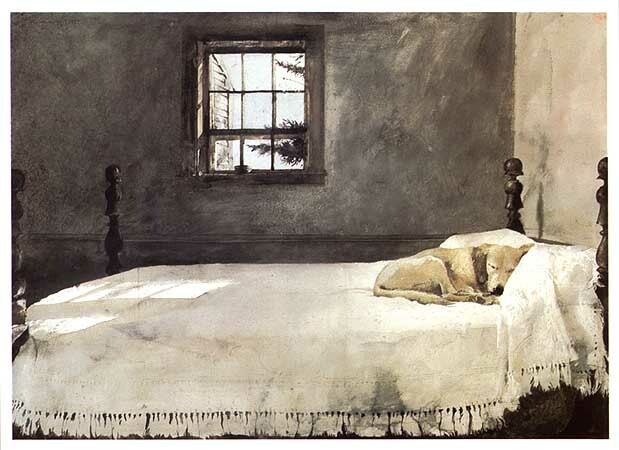 Oh my goodness I have always loved the dog on the bed. And the sycamore tree, my favorite tree and we have many where I live and I have always thought I would take a picture of one sometime. 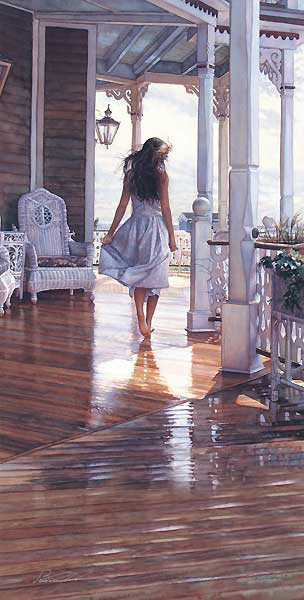 Thank you for sharing and now I know the name of the artist who has painted some of my favorite pictures. Hi Katie – I’m so glad you liked the post! I also love that print and sycamore trees. We have a few old, grand sycamores within a few miles of the house, and next spring I may see about finding one for us to plant here. It’s funny how we can just love some paintings without even knowing who made them – happens to me more than a few times. 🙂 Thanks for stopping by!